Premise: A married woman falls for another man while on a business trip, only to learn later that he lives right across the street from her. About: Actor/Director/Producer/Writer Sarah Polley made waves a couple of years ago with her directing debut, Away From Her. This is her follow-up effort, which stars Seth Rogen (who will be playing the smaller part of the husband - not the "other man"), Michelle Williams, and Sarah Silverman, and is filming as I write this. The script landed on last year’s Black List with 10 votes (the same amount of votes as scripts “Buried” and “My Mother’s Curse.”) One wonders how close “Take This Waltz” is to Polley’s own life. She married film editor David Wharnsby, her companion of seven years, in 2003 and had this to say: "My relationship [with him] is the thing I'm proudest of in my life. I had a lot of opportunities to end up in some pretty bad situations and, despite all my faults, I had the sense to find someone like him and make the decision to be with him. You spend a lot of time wanting to be with the wrong person and I just feel incredibly lucky because I've succeeded at that one thing. I figured that out." A few years later, the two divorced. Might Polley’s desire to be with the wrong person have done her in and also been the inspiration for this script? The ending of this story will have you wondering. Details: 110 pages - May 26, 2009 (This is an early draft of the script. The situations, characters, and plot may change significantly by the time the film is released. This is not a definitive statement about the project, but rather an analysis of this unique draft as it pertains to the craft of screenwriting). I’m always game for a good infidelity script because the subject matter fascinates me. That’s why Last Night is in my Top 25. It’s slow, I’ll admit that, and a few people have e-mailed me to unleash their vitriol over reading it via my recommendation, but what I love about infidelity stories is that they put a character in an ideal situation for drama by forcing them to make a choice that will change their lives. That’s the best way to explore a character and create a dramatic situation, is to put your characters in predicaments where they have to make choices with high stakes attached. The lead up to and fallout of those situations is always interesting. Take This Waltz explores this choice from the vantage point of Margot, a 28 year old journalist. She and her husband, Lou, have been married for five years, and have hit that place in a marriage where, well, let’s face it, it’s boring. Or at least Margot’s half is boring. Lou, a chef who exclusively cooks chicken, seems perfectly content with where they are (why is it so easy for us guys to be content?). It’s not like the couple is on the outs or anything. They still tell each other how much they love each other, albeit in bizarre strangely unsettling ways (“I love you so much I want to put your spleen through a meat grinder.”) It’s just that their marriage is as boring as an Everybody Loves Raymond rerun. So one weekend, while on a business trip, Margot meets Seth, an offbeat guy with a unique take on life who kinda reminds her of herself before she got married. Their time together is quick – just a few flirty exchanges - and if that were it, Margot’s life would’ve been fine. But then the two find themselves next to each other on the flight home. The five hour flight proves to be an irresistible chance to get to know each other and they eventually give into it. And if that were it, Margot’s life would’ve been fine. 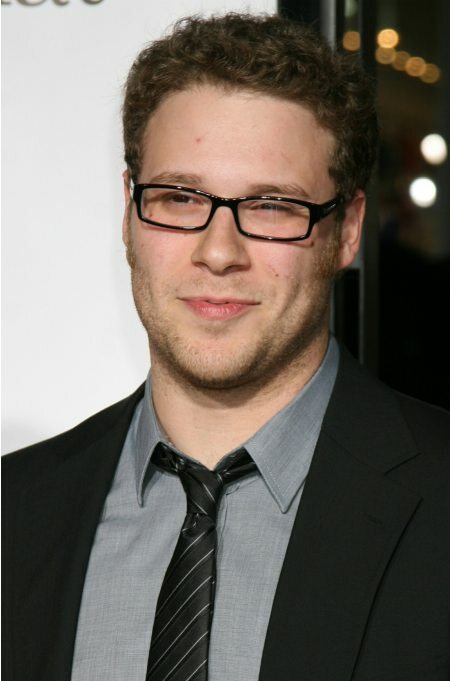 Rogen will play the husband. But then Margot finds out Seth lives directly across the street from her. This terrible cosmic coincidence is the hook for the film and pretty soon Seth’s close proximity sinks its hooks into her. She’s clearly fallen in love with this man, and there he is, only 40 feet away every night. The excuses to go over there are innocent at first – a hello here, a walk there – but soon these meetings are turning into planned lunches. And once you hit the planned lunch well, let’s face it, there’s only one place it can go from there. To be honest, I didn’t think this script was going to recover from its opening. I can already hear the commenters now: “It’s so BOR-ING!” “Nothing HAP-PENS!” And I’d agree there were times early on where the script felt like it was perched on top of a Galapagos turtle. A dead Galapogos turtle. But I’m telling you, as Seth and Margot’s relationship builds, you want to know what she’s going to do. And if you think you know, you don’t know. Margot’s no fluzie who runs off with the first cute guy who smiles at her. She truly values her marriage. But she’s fallen in love with this other man and she can’t find a satisfactory way to resolve the situation, so she just drifts into the Demilitarized Zone, hoping that somehow the decision will get made for her. Or she'll get shot. What I really loved about the script though was the emphasis Polley put on theme. Theme’s a funny thing. A lot of writers are intimidated by it or don’t think it’s important. I confess I once fell squarely in this camp. But when you know the central idea you’re trying to convey to your audience, you can shape everything from the characters to the plot to the dialogue around it. A well-integrated theme avoids the kind of scripts I see so often from amateurs, where everything is so disconnected and random that you're continually losing focus trying to read it. Everything needs a center to revolve around, and that's what your theme does. And hey, themes don’t have to be complicated . Most of the time they’re actually quite simple. The theme here is: “Is the grass really greener on the other side?” It’s a question all of us ask in multiple areas of our life so it’s something that resonates, that makes you think. And I was definitely thinking along with these characters, wondering what I would do if I were them. Yes there were some annoying things about Waltz. Margot and Lou were downright weird at times, bordering on an inside joke so exclusive that *they* were almost on the outside. I’m not sure telling someone you love them so much you want to watch them burn in an oven is okay no matter how well you know each other. I also was NOT cool with Seth’s job, which is a rickshaw driver. If ever there was a more quirky movie-ready job that had no basis for existing in a real-life version of this situation, this would be it. But like I said, in the end, it won me over. The ending, in particular, is not what you’d expect from a romantic comedy (which IMDB claims this to be). And it’s just nice to see this kind of movie tackled from a different point-of-view, particularly if that point-of-view is Sarah Polley’s. What I learned: Put your characters in uncomfortable situations. The more uncomfortable they are, the better. If your characters are comfortable for too long, you don’t have a story. Why? Well because if a character is comfortable, there’s no drama. And drama is the key to story, right? There’s a great scene towards the end of Take This Waltz. It’s Margot’s anniversary, and she’s across the street talking to Seth. Lou comes home early and spots them. He walks over, having no idea of their relationship over the past month, and kindly introduces himself. He informs Margot that he made them a dinner reservation and they’re already late. Seth – jealous, disappointed, amused - offers to take them in his rickshaw. Margot is horrified by the idea and tries to get out of it, but Lou is already climbing in, eager to get to dinner. The scene works because Polley creates the most uncomfortable situation possible for her protagonist. Look for these opportunities in your own script. They almost always work.